I was in Zurich on a short business trip and I decided to make up for not finding the time here while on my Switzerland vacation a few years back. I had then taken the train directly to the picturesque hill town of Grindelwald, without getting out of Zurich airport. This time I was lodged at the atmospheric Hotel Schweizerhof right in the heart of this city. The temperature was below freezing throughout the days I was here; the locals said it was unseasonably warm! 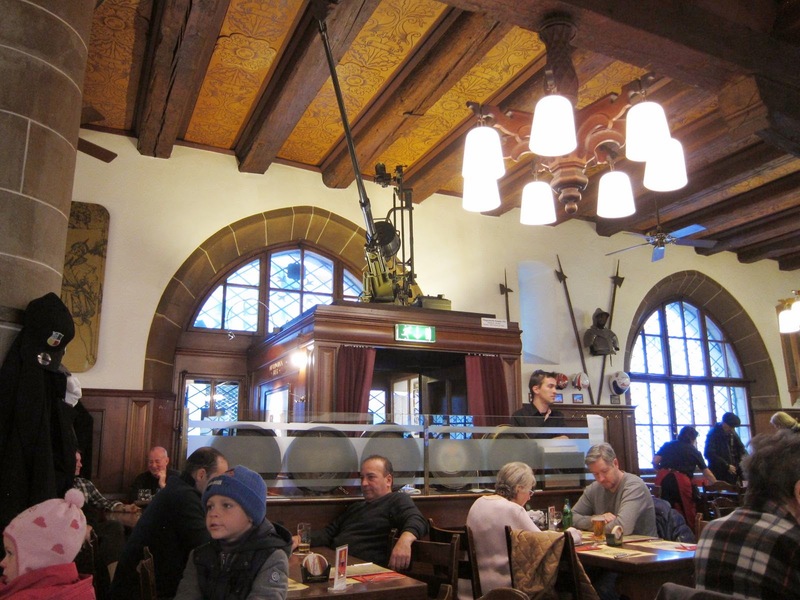 That didn’t keep me from trying out one of the local restaurants, Zeughauskeller. 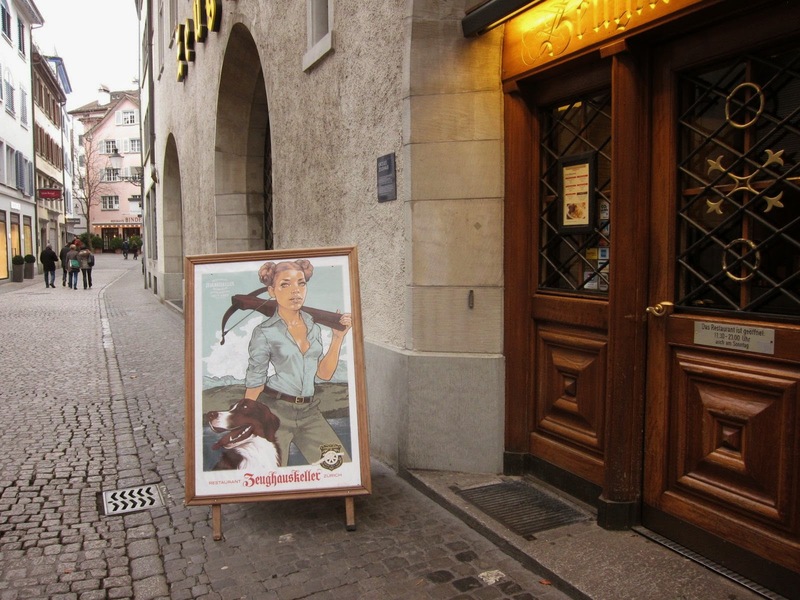 While some deride it as touristy, it nevertheless serves great Swiss-German food in an unusual setting. An armaments storehouse from the 15th century, this place was turned into a restaurant several years back. The history is kept alive by the weapons displayed on the centuries-old walls. You can even order a large meat sausage wrapped an actual sword! 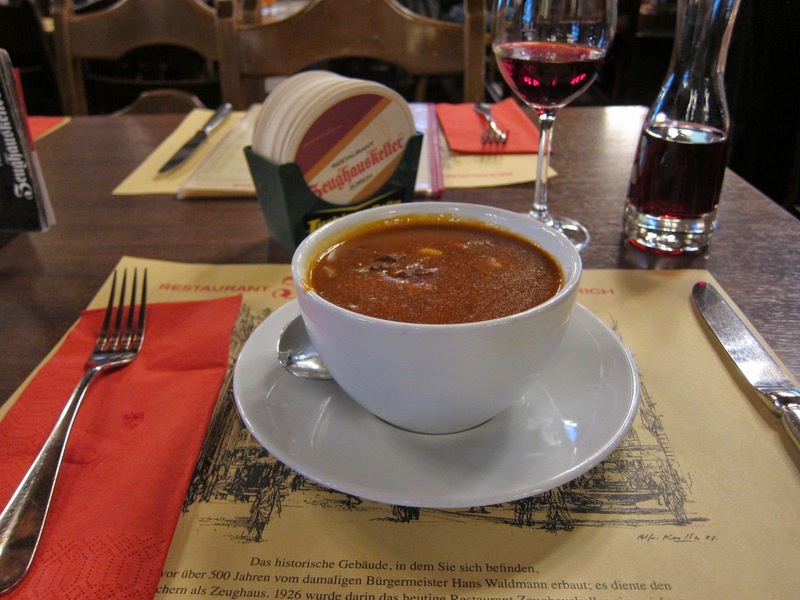 I started with a bowl of steaming hot Hungarian goulash that immediately revived me. The liberal chunks of meat in that rich, thick soup was a life-saver after that long walk in the cold. Next came the Paprika flavored pan-fried pork sausage with home-made potato salad. 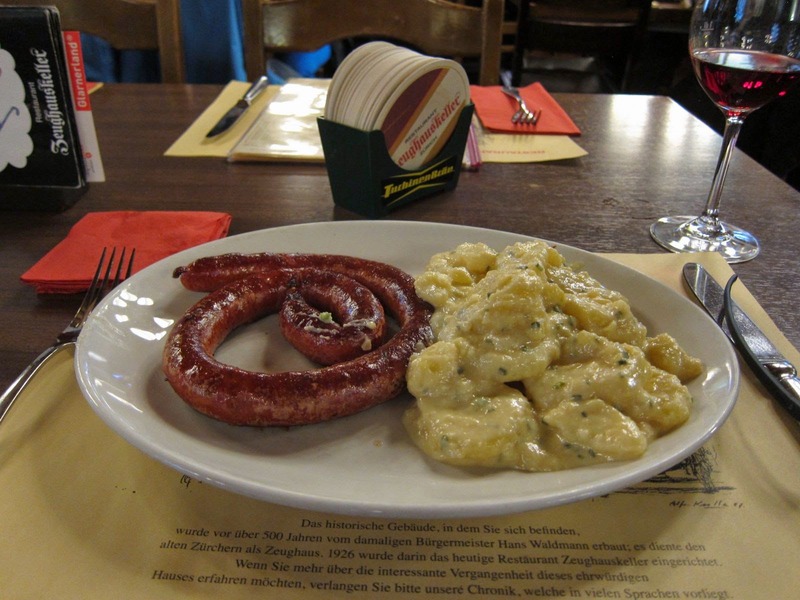 There was several varieties of sausages on the menu including the classic bratwurst made of veal and another from the French-speaking region that is served with onion sauce. My sausage was a large portion and very filling and delicious too. 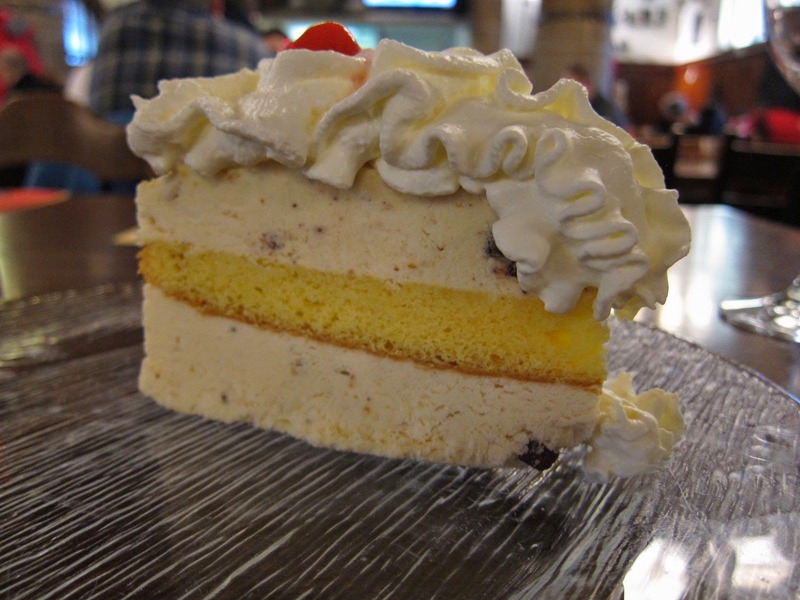 I ended the meal with their signature dessert of Ice Cream Pie made with hazelnut chips, orange zest, cherry schnapps and cognac and topped with whipped cream. 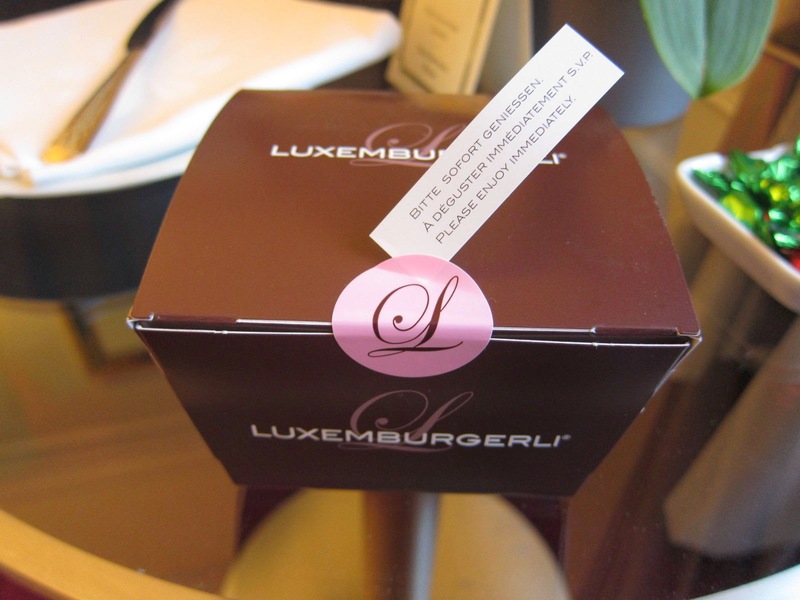 After that meal, I went hunting for artisan Swiss chocolates and in the process also discovered something quite mind-blowing: the light-as-a-feather deliciousness of the Swiss Luxemburgerli. 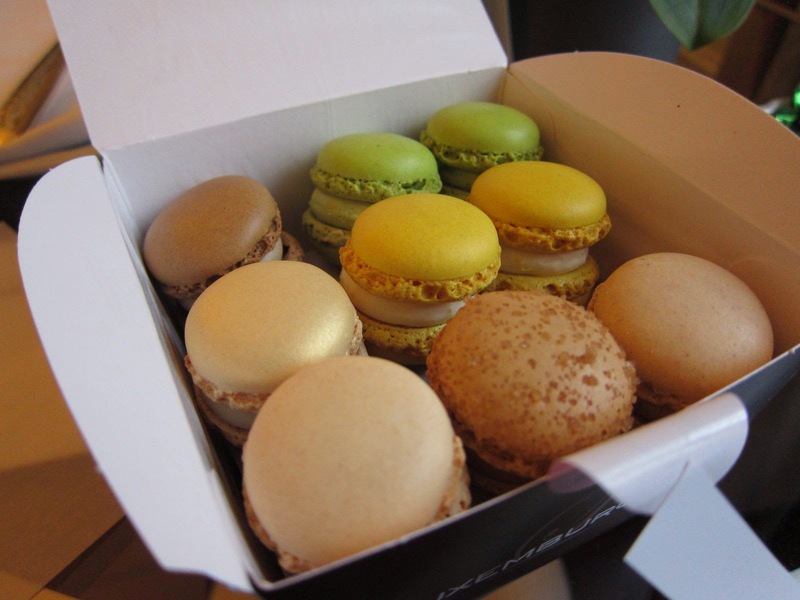 These are a very special variety of the French macaron and sold by the Sprungli confectionary stores. These are a must-have for anyone with a sweet-tooth; they recommend consuming these little heavenly morsels immediately so they are difficult to bring back home. The other artisan chocolate maker I can recommend wholeheartedly is Läderach. They are known as much for their amazing range of thin-walled truffles as for their chocolate ‘bark’, thin slabs that are embedded with a variety of dried fruit including one with red pepper. They are among the best you can get, if you are a chocolate aficionado.